How to Clear Mac Desktop Easily – iMobie Inc. When we piles up a lot of files on our Mac's desktop, it is necessary to clean up our desktop to improve our work efficiency. 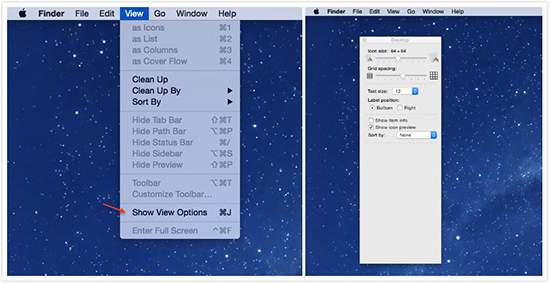 In this guide, we will show you how to clear up your Mac's desktop. To optimize the running speed of our Mac, we can download this professional software to clear Mac from time to time to make it after reading this guide about how to clear desktop of Mac. We all like to stay in a tidy place that makes us feel confortable to efficiently do our work with a good mood. You can see how important it is to make everything in tide around us. When we are always busy working on our Mac, we had better keep our Mac's desktop tidy instead of in a mess all the time. In this guide, we will show you how to clean up your Mac's desktop. Step 1. Open the Finder > File > Select the New Folder. Step 2. Name the folder by right-click the mouse > Click on "Get Info". Step 3. Drag the files into the new folder. 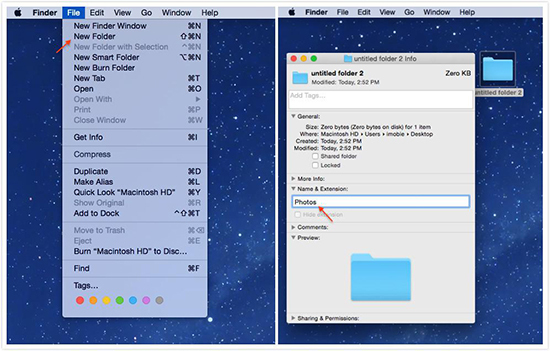 You can go to File > Choose New Folder with Selection to create a folder for multiple selected files. Step 1. Go to open Finder > Choose "View". Step 2. Click on Clean Up By and choose an option among Name, Kind, Date Modified, Date Created, Size and Tags. The Finder will do the rest. Step 3. Select Sort By will automatically sort the items on desktop and you can choose Snap to Grid to get them to fall into a geometric. Step 1. Open the Finder > Choose the View. Step 2. Click on Show View Options. Step 3. You can adjust the icon size, Grid spacing, the size of label text and passion and other criteria. To clean up our Mac's desktop, we can make our files on Mac's desktop in order to improve our working efficiency. If you want to make your Mac run faster, you use a powerful software – MacClean to clear your Mac. If you like this guide, please share it with your friends. For any question, you can contact our support team via Email, they will reply to you within 24 hours.